Sharon Jones is a Fitness Professional, Industry Tutor/Assessor, NLP Trainer and Personal Performance Coach with over 23 years’ experience in the fitness industry. Rapport: "Minimizing the differences" Very very powerful. Have been considering studying NLP for a few years and so grateful to have met Sharon and to be introduced to this subject in such a submersive, interesting and applicable way. I loved every minute of it. Hugely impressed! Thank you Sharon I have gained so much more than I expected. Sharon has appeared on Sky TV and Channel 4 as a fitness instructor in the 1990’s and is also currently the owner of Bootique Fitness (www.bootiquefitness.co.uk) in Warrington, Cheshire. Sharon specialises in motivation and behaviour change and has worked with 1,000's of people and organisations in helping them achieve their personal performance and wellbeing goals. Due to expertise in the field of both Fitness and NLP, Sharon's services have been much sought after. Her services have included Personal Training, Life Coaching and Fitness Industry Tutor & Assessor. 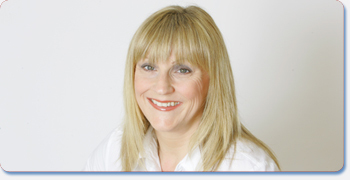 She has written and delivered a range of NLP and fitness related courses, which have been received with much acclaim. Sharon remains passionate about working with both individuals and organisations to improve health, wellbeing and ultimately performance. She believes that people who feel good have a positive outlook and this means that they work better, play better and perform better in any area of life. Her mission is to empower others to perform at their best. She has led several charity race warm-ups for the Race for Life, Cancer Research UK and her local hospice, St Rocco’s in Warrington. She has raised over £30,000 for charity through organising charity events and local aerobathons. 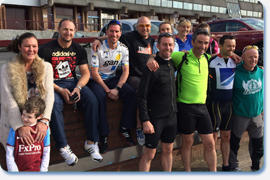 She recently took part in a sponsored 100 mile bike ride from Warrington to Villa Park in order to raise funds and competed in the Cheshire Tough Mudder in 2015 to raise more funds for Cancer Research UK.